Princess Athena and Prince Henrik on summer vacation in Cayx Palace (or Château de Caïx). 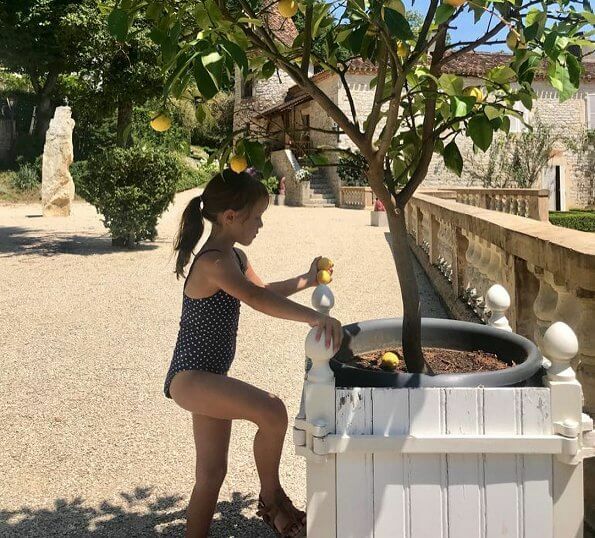 The photos taken during the Summer Holiday and showing together Prince Henrik and Princess Athena was published on the official Instagram page of Royal Court. The photos were taken by Prince Joachim of Denmark at Cayx. 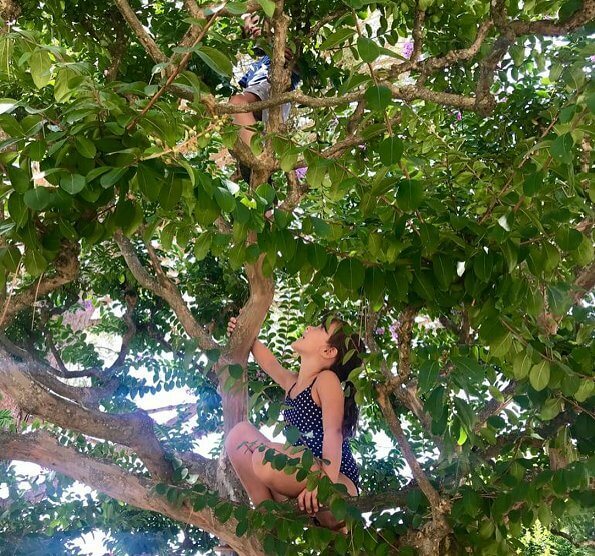 Well both of the kids are in the tree and having fun. Happy summer kids. No doubt it's a wonderful place but the pics are terrible. Indeed it's almost impossible to see P. Henrik in the second one. Anyway: Happy summer holiday to all. I do not think that these photos are "terrible". They are nice private snapshots, not staged photos in order to create a certain image. I like the pictures, it is the same kind of pictures my neighbour shows me after returning from holiday. Just nice and lovely, snapshots of real life! Joachim and family never holiday in Denmark, I think that this is not so good as if Denmark is not their interest.